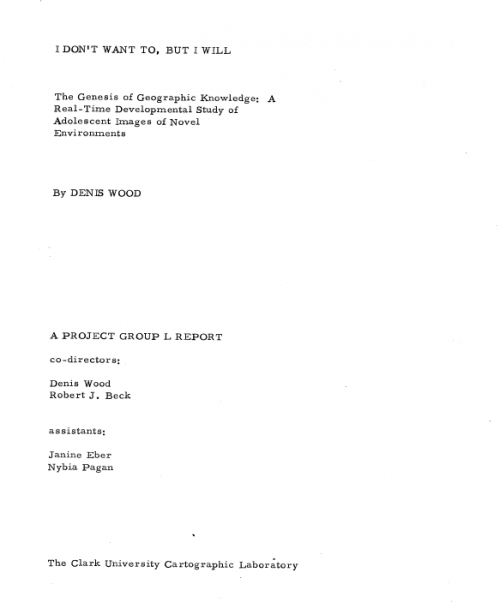 I honestly don't have a ton to say about I Don't Want To But I Will, Denis Wood's 1973 dissertatation via Clark University (my wife's alma mater). While there is a ton of borderline-crazy stuff in the acknowledgments in particular, the whole thing is a strange, almost avant garde approach to his work here, and it really needs to be seen to be believed. 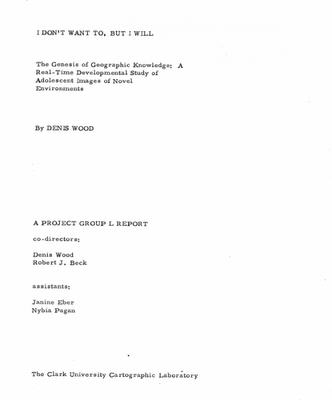 Wood went on to do some work for maps, having a number of books published as well as being featured on This American Life, but it's really his dissertation that fascinated me the most.